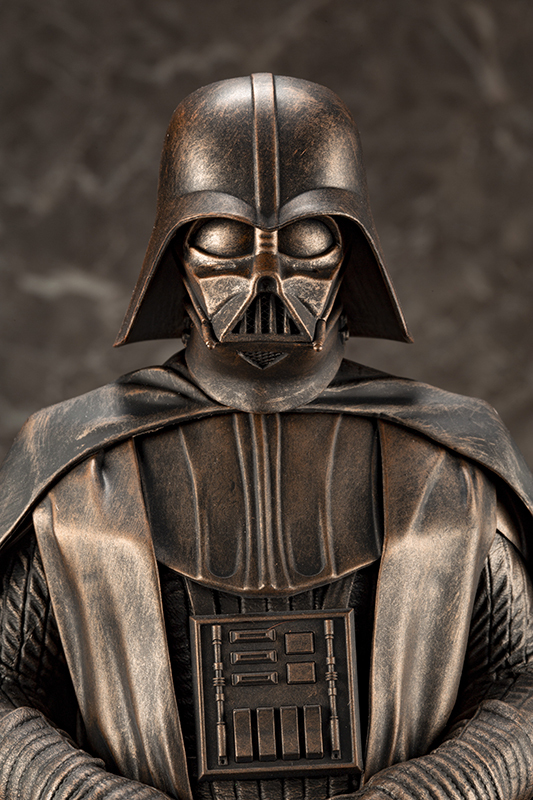 In addition to their Star Wars Celebration 2019 exclusive R2-R9 & R2-B1 ARTFX+ Two Pack, Kotobukiya will be offering a 1/7th scale Darth Vader Bronze Edition ARTFX Statue. The statue will be available at Booth #2618 priced at $119.99. Star Wars Celebration Chicago will take place April 11-15 at McCormick Place. Visit StarWarsCelebration.com for tickets and more info. To buy action figures, take a look at Hobby Link Japan, BigBadToyStore.com, TheToySource.com, Toynk.com, and BriansToys.com.